State of the art servers = Lightning-fast load times from anywhere on earth! Sick of being hoodwinked by website hosting services? GoWebben hosting packages are high-speed and provide you with more than enough space for any kind of personal, business, organizational or other kind of website. To make life easier, we offer our clients high-speed hosting packages with every website we build, saving you time and money while keeping everything related to your website under one simple account. 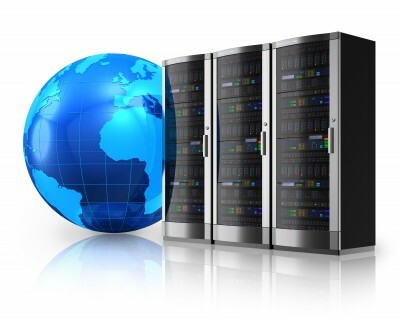 Our established servers are super high quality and we are constantly upgrading as new hardware comes out. Never lose visitors to slow loading pages with GoWebben! We go to great lengths when it comes to the security of our network! GoWebben servers are located in secure data centers with stringent clearance measures and state of the art security monitoring. We maintain redundant firewalls that stop most attacks before they start and also have an intrusion detection system on our network that is automatically updated each time new security flaws are discovered across the globe. We love being certain that your information is safe with us! GoWebben is passionate about keeping your business running smoothly, so you can focus on what you do best! If you're unable to fix your issues alone and Google is just not helping, simply submit a support ticket. One of our professional staff will be glad to help you out. Our average response time will astound you! Email is an essential part of your business operations, so having a reliable email management system is a must. GoWebben hosting accounts have state of the art email features built in. Hosting control has never been so easy with the use of cPanel, one of the world's leading hosting control platforms. cPanel features include one-click script installers, website builders, email management, spam protection, add-on and sub-domain management, advertising and more. You can visit the cPanel website to find out more.